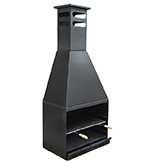 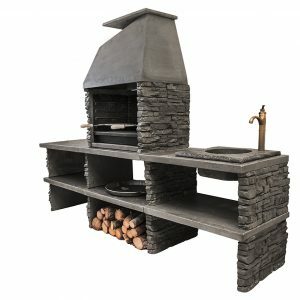 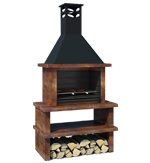 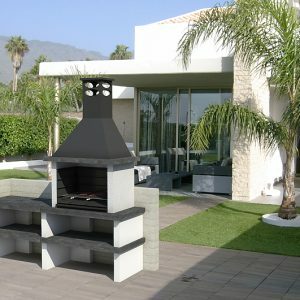 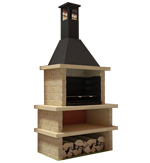 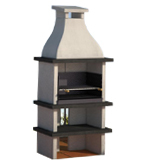 The Alpes Barbecue is made of stone, with a unique and exclusive design for TOPBBQ. 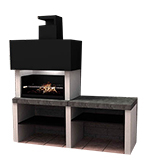 With a rustic look thanks to the stone, but with the modern and avant-garde finish that gives it the dark gray color and its fireplace make it fit in any environment. 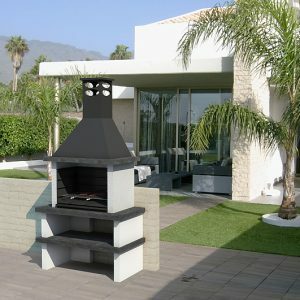 An elegant barbecue with straight lines combining artificial stone with a hood made of 3mm plate and painted black with antiheat paint to avoid oxidation and wear on the material. 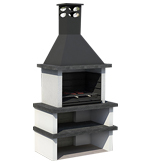 This barbecue has a stainless steel grill and a box for collecting ashes.